The newest addition to the yellow cab family! 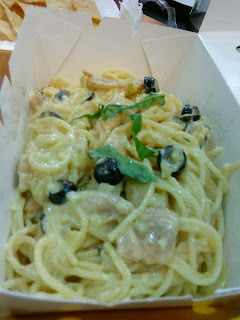 If your're a cream based pasta lover, then this is the pasta for you! Its not too creamy and overpowering, actually its just perfectly mixed! The chicken pieces are perfect bite sizes too! Its a great great alternative to the Charlie Chan!